Heating and cooling costs can be slashed by up to 30% per year by properly sealing and insulating the home. 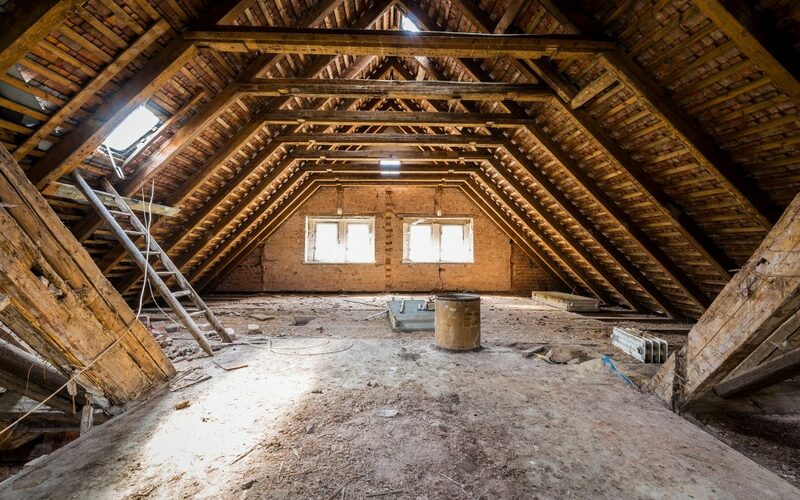 Proper insulation of the attic should be a top priority for preventing heat loss because as heat rises, a critical amount of heat loss from the living areas of the home occurs through an unfinished attic. During the summer months, heat trapped in the attic can reduce the home’s ability to keep cool, forcing the home’s cooling system to work overtime. The lack of adequate ventilation in insulated attics is a common problem. Ensuring that there is a free flow of outside air from the soffits to the roof vents is key to a well-functioning system. Look behind the baffles to see if there is any misplaced insulation obstructing the natural air flow, and check the roof vents to make sure that outside air is exhausting properly. Also, look for spots where the insulation is compacted; it may need to be fluffed out. If loose-fill insulation is installed, check for any thinly spread areas that may need topping up. Finally, look for dark spots in the insulation where incoming air is admitting wind-blown dust and moisture into the material. Any unintended openings or holes caused by weathering or pest damage should be repaired first. The objective in an attic insulation project is to insulate the living space of the house while allowing the roof to retain the same temperature as the outdoors. This prevents cold outside air from traveling through the attic and into the living area of the home. In order to accomplish this, an adequate venting system must be in place to vent the roof by allowing air flow to enter through soffit-intake vents and out through ridge vents, gable vents or louver vents. If there is currently a floor in the attic, it will be necessary to pull up pieces of the floor to install the insulation. In this case, it will be easier to use a blower and loose-fill insulation to effectively fill the spaces between the joists. If you choose to go with blown-in insulation, you can usually get free use of a blower when you purchase a certain amount of insulation. When installing fiberglass insulation, make sure that you wear personal protective equipment, including a hat, gloves, goggles and a face mask, as stray fiberglass material can become airborne, which can cause irritation to the lungs, eyes and exposed skin. Before you begin actually installing the insulation, there is some important preparation involved in order to ensure that the insulation is applied properly to prevent hazards and to achieve maximum effectiveness. In order to maintain the free flow of outside air, it is recommended that polystyrene or plastic roof baffles are installed where the joists meet the rafters. These can be stapled into place. Next, place baffles around any electrical fixtures (lights, electrical receptacles, etc. ), since these may become hot while in use. Hold the baffles in place by cross-sectioning the rafters with 2x4s placed at a 3-inch clearance around the fixture. Cut the polystyrene board to fit around the fixture and inside the wood square you have just created. If you are installing insulation with a vapor barrier, make sure it faces the interior of the house. Another option for a vapor barrier is to take sheets of plastic and lay them between the ceiling joists. Then, using a staple gun, tack them to the sides of the joists. Begin by cutting long strips of fiberglass to measure, and lay them in between the joists. Do not bunch or compress the material; this will reduce the insulative effect. If you’re not planning to put in an attic floor, a second layer of insulation may be laid at a 90-degree angle to the first layer. Do not lay in a second moisture barrier, as moisture could potentially be trapped between the two layers. This second layer will make it easier to obtain the recommended R-value. In colder climates, an R-value of 49 is recommended for adequate attic insulation. In warmer climates, an R-value of 30 is recommended. Fiberglass has an R-value of roughly R-3 per inch of thickness; cellulose has an R-value of roughly R-4 per inch, but it doesn’t retain its R-value rating as well as fiberglass. If an attic floor is in place, it will be easier to use a blower to add cellulose insulation into the spaces. The best way to achieve this is to carefully select pieces of the floor and remove them in a manner such that you will have access to all of the spaces in between the joists. Run the blower hose up into the attic. A helper may be needed to control the blower. Blow the insulation into the spaces between the joists, taking care not to blow insulation near electrical fixtures. Replace any flooring pieces that were removed. Loose-fill insulation, either fiberglass or cellulose, is also a good option in cases where there is no attic floor. In such circumstances, you won’t need a blower; you can simply place the insulation between the joists by hand. You may also wish to even out the spread with a notched leveler.